To identify fallen service personnel and then to create and publish a Roll of Honour. The Roll of Honour was first published in September 2017. The construction and siting of a physical war memorial within the local community. We recognise that, even today, the issue of commemorating our war dead is an emotive one. 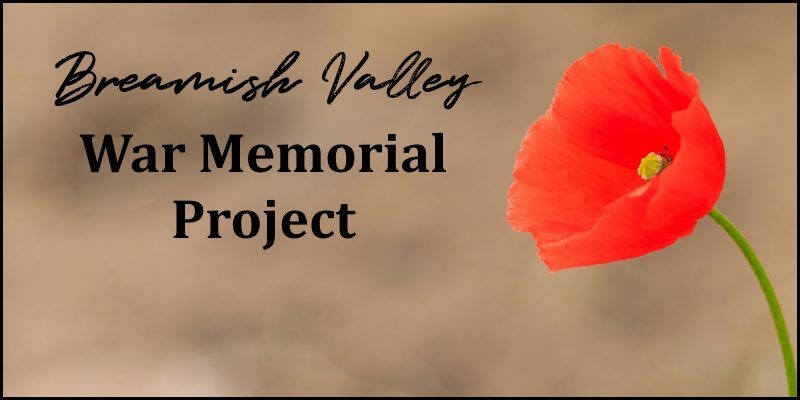 We have, in good faith, attempted to identify all the individuals from the Breamish Valley who lost their lives and to construct as complete a list as possible. To this end, Robbie Burn, with assistance from interested parties, has undertaken extensive research to identify 39 service personnel (as at 9 October 2018) who lost their lives in either of the two world wars. We actively welcome comments or contributions. If you have anything you’d like to input to help progress the Project, then please contact the Project Lead.